What are WDO Inspections? - Yes Pest Pros, Inc. What are WDO Inspections? - Yes Pest Pros, Inc.
A WDO inspection stands for a wood destroying organism inspection. While most people will think it means termites, it can actually include a wide array of both insects and other organisms. 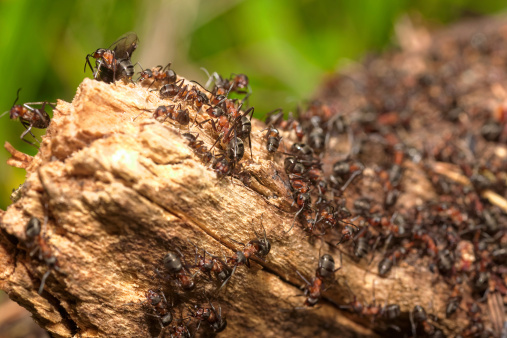 A WDO inspection means checking a home thoroughly for termites, carpenter ants, beetles, wood decay, as well as evidence of past infestations and past treatments. Essentially, it is an inspection for everything wood when it comes to your home and its overall structure. A WDO inspection is extremely important when you are considering buying a home. The inspector is working for your benefit – not for the realtors or the seller. Because you are considering making such a large purchase, you want to be absolutely certain that there are no infestations currently within the structure of the house. It is also useful to know whether or not there have been past infestations that have since been treated because it will provide you with better insight as to whether or not it may happen again. The inspection provides you with knowledge of the home beforehand. This way you do not purchase the house only to discover later on that there is a termite problem. Treating a termite or other wood destroying organism problem can be a lot most costly than the initial WDO inspection. WDO inspections are often required by the bank before you obtain a mortgage. It truly is a benefit to you, so don’t think of it as an added expense. It can save you a great deal of money later on – especially if the inspector does indeed find a problem. You will get what you pay for when it comes to WDO inspections. You want the inspector to take his or her time looking in every corner of the house. A thorough inspection can take an hour or longer, and the real estate agent should be aware of this. No inspector should rush through the job or be pressured to move faster. The more efficient the inspection, the better you can feel when they offer their findings and determine there are no issues. They need the right amount of time to find signs of activity or issues on both the interior and exterior of the home. They won’t just look but also tap, poke, and sound wood to make sure it is in good shape and not hollowed out by insects or otherwise damaged. Young Environmental Services offers WDO inspections and we take these inspections very seriously. We provide you with a very important service and will take every measure to make sure that the house you are considering is insect, decay, and damage free. Once the inspection is over, we will provide you with a written and detailed summary of our findings. This can include the discovery of live insects, dead insects, damage, rot, evidence of infestations, and even conditions that may lead to a future infestation. If necessary, we will also include documentation that explain our findings so you fully understand what is happening in and outside of your future home.